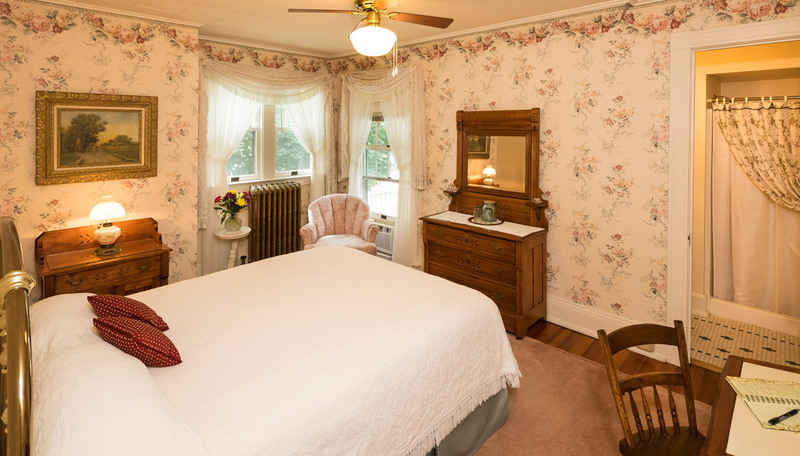 Welcome to the master bedroom of the house. 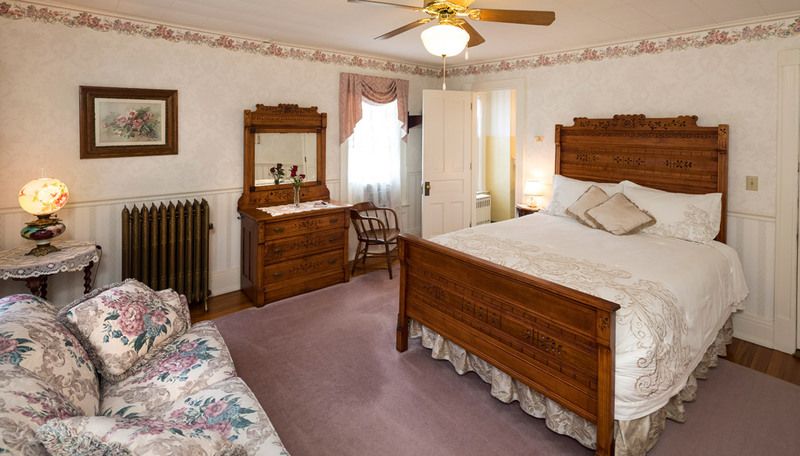 The Rose Room features English décor with comfy love seat, Eastlake queen bed, and luxurious linens. This sun filtered room provides a large spacious private bath featuring a soaking tub/shower and an original stained glass window. 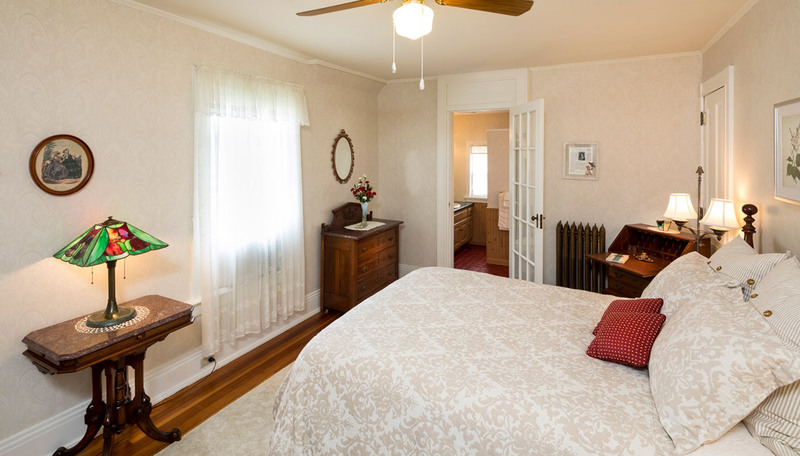 Winnie, one of the four Lohman children, said, “The house was loved by us all and filled with years of happiness for my parents and us children.” Eastlake furnishings and a cozy queen size brass bed welcomes you home. Read the Lohman’s memories of growing up in Two Rivers. A private bath is included. 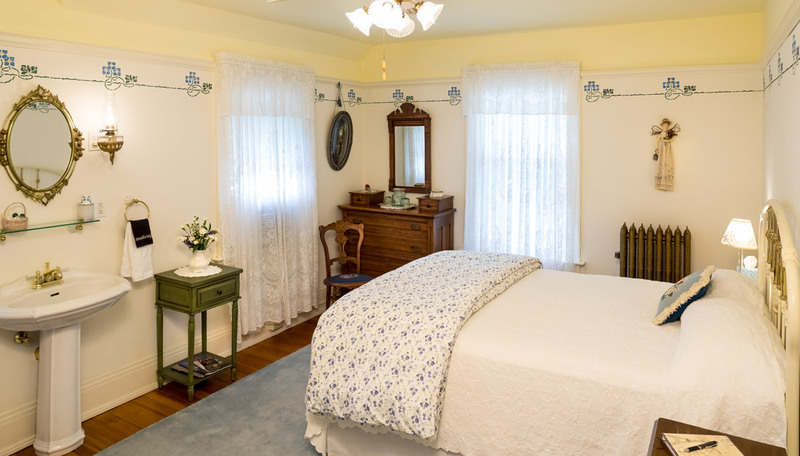 The room recalls a simpler time with its bright window panes, heirloom spinning wheel and comfy queen bed with a sampler quilt. Charming Trimbell River Forget-Me-Not stenciling compliments the room. Private bath included. Relax in this gentle room featuring a large balcony window and queen size bed with freshly ironed linens offering you a good night sleep. A vintage child’s tea party setting will bring back childhood memories. Private bath included.